Very unique, compact and well designed, it displays: Time, two Alarm Sets, Date. An optimally slim design allows to you to use this clock as wall clock, as well as desktop clock at home and/or small office environment. It has a simple control panel with only 2 buttons. Like any of our clocks, the internal buzzer will generate the alarm even if the main power is off. Hurry while they last, buy it now! 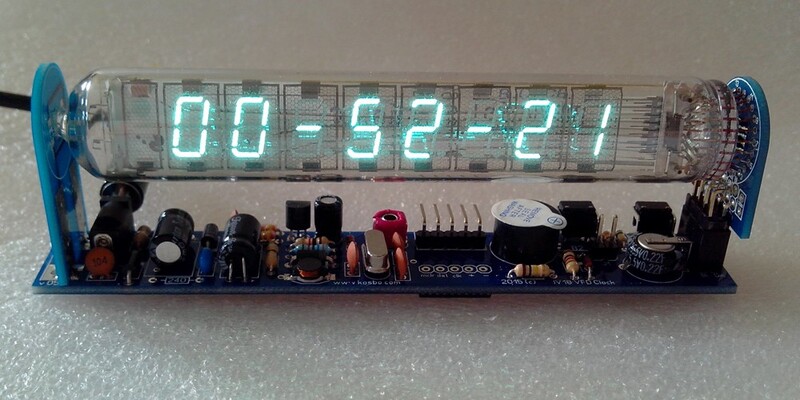 Unique and new VFD Clock on the market ! choose 12 or 24 Time Display mode. 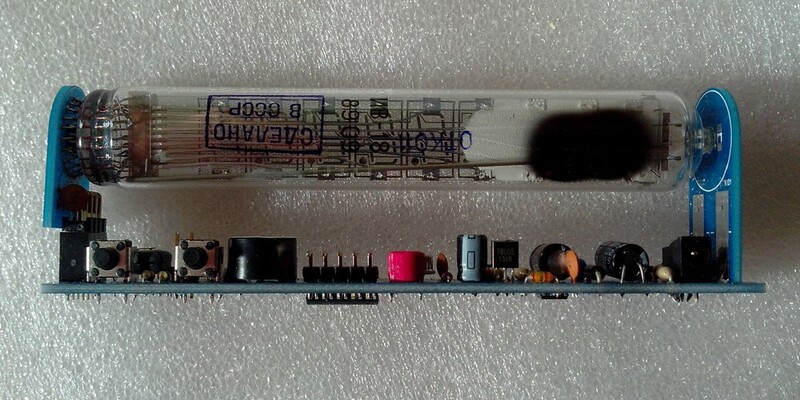 Newly designed IV-18 VFD Tube Clock for your attention ! Unique ! 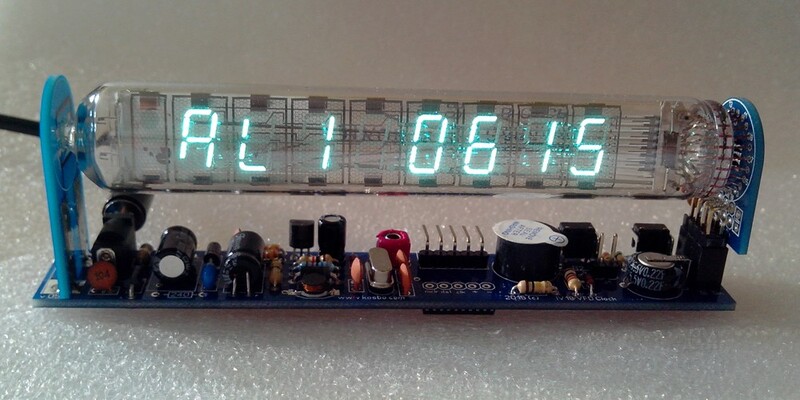 Ideal gift - Newly designed Vacuum Fluorescent Display Clock - just arrived on the market !t ! 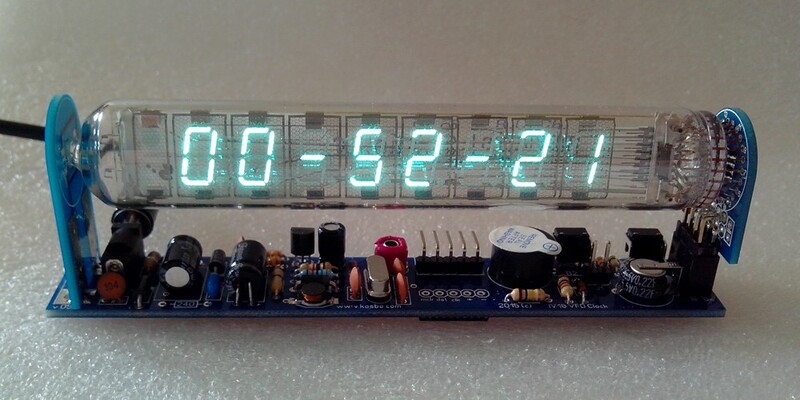 It's fully assembled working VFD Clock, giving you chance to concentrate your efforts on the case design! Please send me your complete Clock picture, as I am going to create picture gallery on my WEB page.ge. To keep power consumption at low level, do not connect load <100KOhm to the external alarm contact. Frequency Test Mode can be activated to easily check and adjust clock frequency. 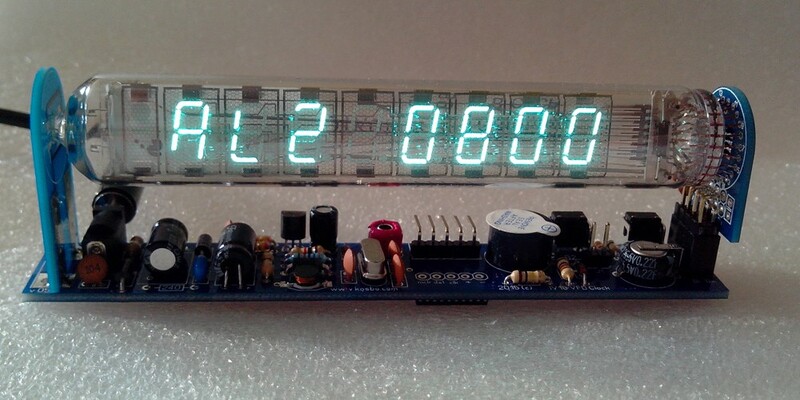 In this mode Clock does not display or keep time and date, for 3 seconds it displays 200000, which means 200KHz, than display switches off and frequency check signal is activated on the dedicated output pin. Use it to check it, if you have calibrated precision frequency meter or use this signal for your calibration purposes. Digit height - 10 mm. The latest User Manual is available to download. Please click here. 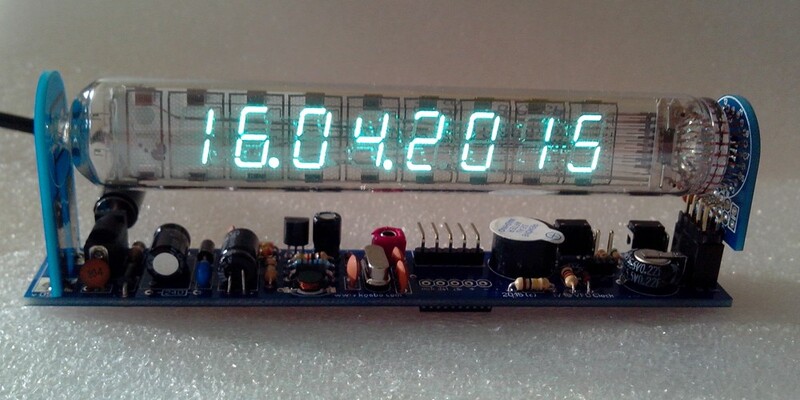 Please feel free to ask me any questions regarding this VFD Clock. I'll do my best to respond to you within 12 hours. 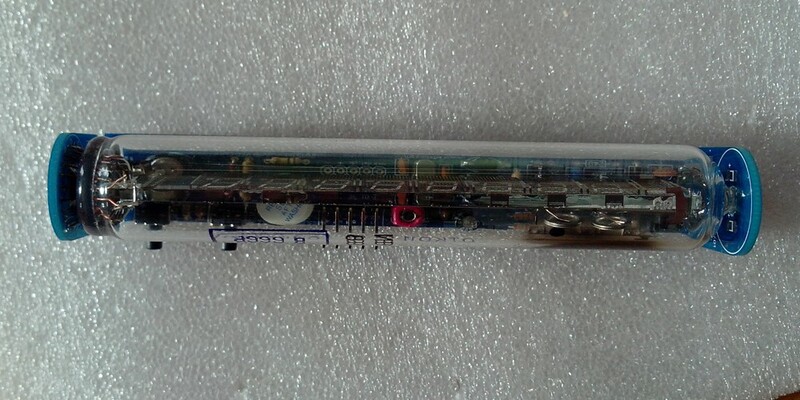 Next product in my Clock line is IN-18 Big Nixie Clock. 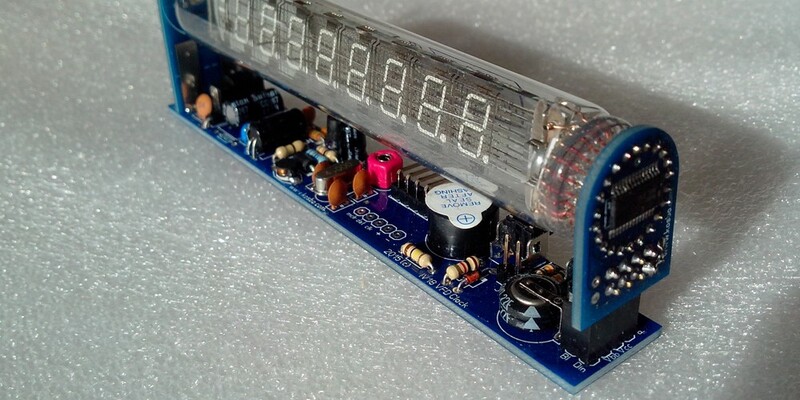 It will be 6 digits clock on IN-18 Russian Nixie Tubes. 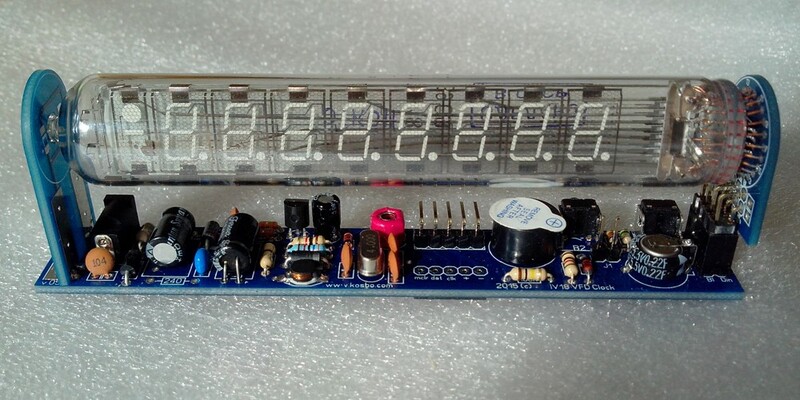 Fully assembled working VFD Clock. No power supply is included. 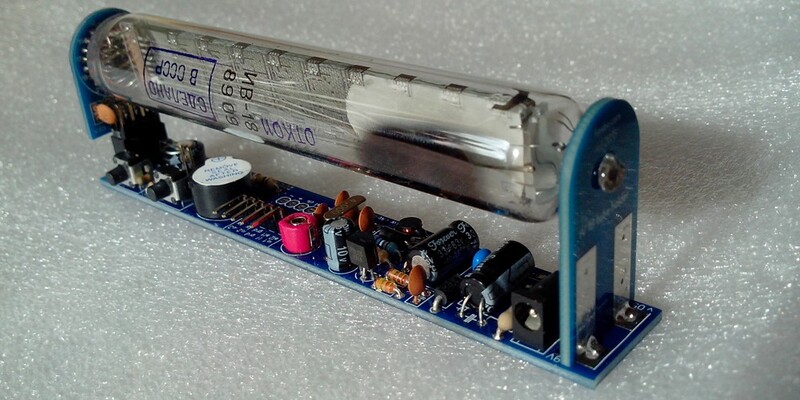 Power Supply is available at extra £4-95 GBP for UK Customers only.